Our travel partners, Cruzani Travel, specialize in nature and cultural tours. 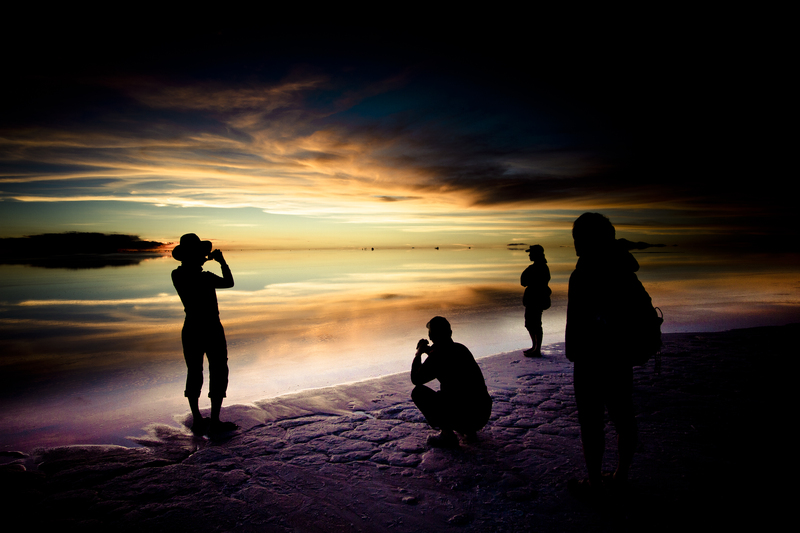 Customize a tour that combines everything you’re looking to discover at Salar de Uyuni from Hotel Luna Salada. 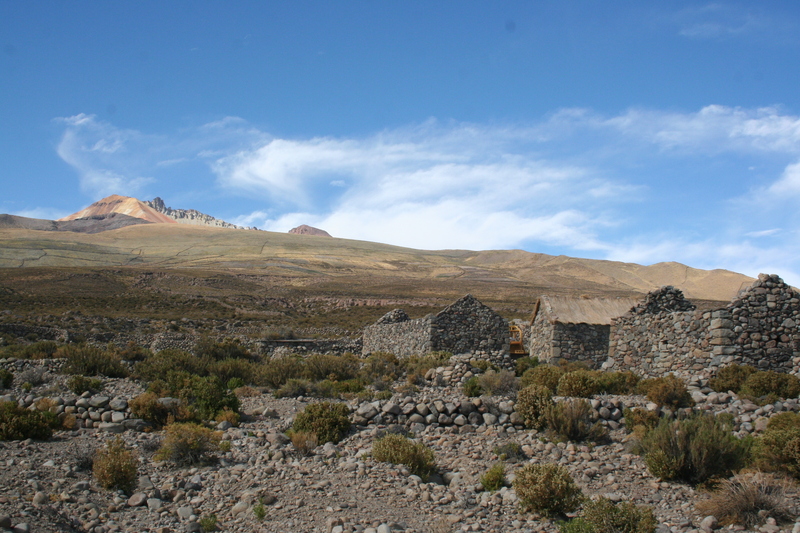 Discover Andean customs, identity, and cultural roots; hike an island made of cacti in the middle of the salt flat; walk along the edge of a gurgling, semi-active volcano; and so much more. 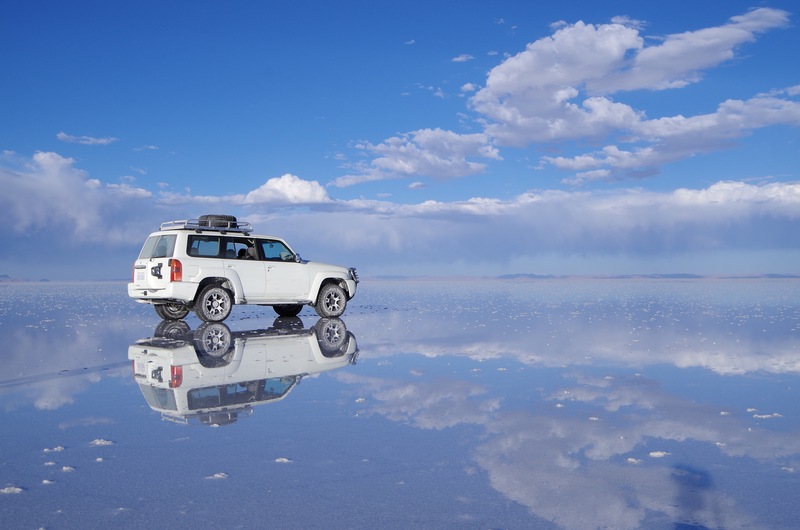 We are proud to offer responsible and sustainable tours of Salar de Uyuni and the surrounding area. Get in touch today to start organizing your trip! December to April (rainy season.) If you’re looking to see and photograph the flat’s iconic mirror effect, visit in the rainy season. Don’t forget rain boots, as you’ll be walking on the sky through water. Average Temperature: Night: 5 ° C, in the Day: between 13 and 20 ° C. times with water. May to November (Dry season.) When the rain dries, it leaves behind mysterious and beautiful patterns in the salt. You’ll feel like you’re walking on an alien planet, and have easier access to some of the other sites around Salar de Uyuni. 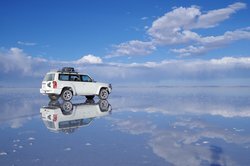 Average Temperature: Night: -3 ° C on day 10 ° and 15 ° C.
Here are some of the ways you can see and experience Salar de Uyuni, depending on the time of year and availability. Contact us for more. We have also provided a sample full-day Family Tour Package to give you an idea of what you can see in one day. In addition to all the things in Salar de Uyuni itself, there’s also lots to explore in the area. Stop 1: Pick up from the Airport or Bus Terminal, we pass through the Train Cemetery where we stop for pictures and to explore. Stop 2: Arrive at the hotel to check in and leave your luggage. Lunch at Tunupa restaurant in the hotel. Stop 3: Departure to the town of Colchani to see how the salt blocks are built, and visit the local craft market. We will see the heaps of Salt, the Water Eyes and the Crystals. Stop 4: We cross the vast salt flats toward Incahuasi Island, admiring the white dessert around us. Stop 6: Drive back to Playa Blanca, the first hotel built entirely of salt, now converted into a museum. Stop 7: See the Dakar Monument in honour of an international driving competition that crosses Salar de Uyuni. The monument features visitor flags from around the world! Stop 8: Watch the sunset over the salt flats. Stop 9: Return to Hotel Luna Salada, where you’ll have dinner and a night’s rest in our luxurious rooms and suites. 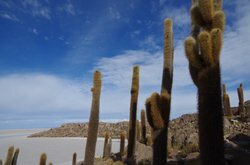 Hike to the top of this “island” covered in cacti, surrounded by the vast expanse of Salar de Uyuni. Some of the cacti measure up to 12 feet. From the top, you will take in the surreal view of the coral and cactus-covered island with the flat salts in every direction. Observe the universe with a full sky of stars across the vast, empty salt flats. 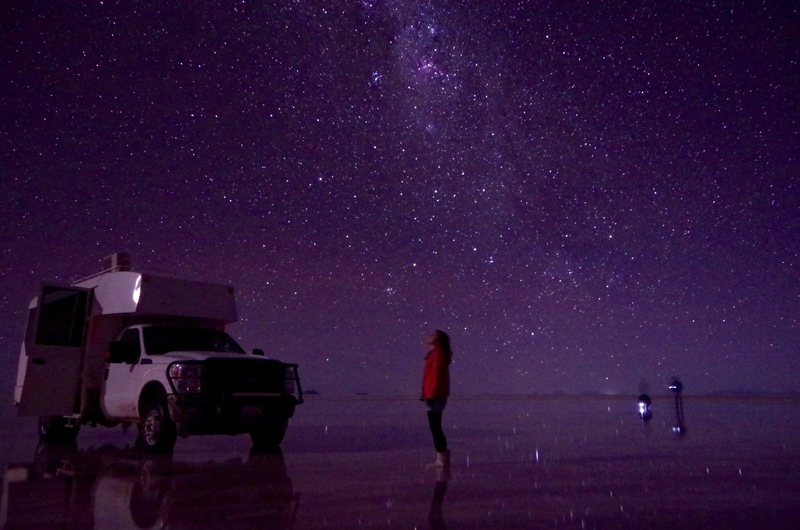 The sea level, atmosphere and lack of artificial light make Salar de Uyuni the perfect spot to see stars, planets and galaxies. Our tour will bring the Andean world alive for you, as the guide explains what our ancestors saw in the Uyuni sky. If you’re visiting from the Northern Hemisphere, expect to see brand new constellations. 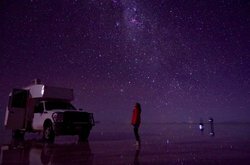 Our guide will point out the "Southern Cross" and the glowing band of the Milky Way stretching across the the vast sky above the salt flats. There is no boundary between earth and sky in the rainy season. When visiting the salt flats in the rainy season, don’t forget your rain boots! A sweeping view and epic hike await you at the top of this dormant volcano. You’ll be rewarding with a view of the salt flats and the mountain’s colorful rock formations. Tunupa is located between the northern edge of the Salar de Uyuni and the southern edge of the Salar de Coipasa. In Andean culture it is regarded as a sacred mountain.